No. 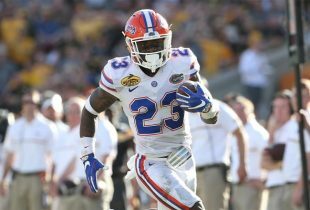 3 Florida Gators men’s track & field won the 2010 Southeastern Conference Outdoor Championship on Sunday, the team’s first since 1987, by scoring 124 total team points at Tom Black Track in Knoxville, TN. The victory marks men’s track & field’s second major title this year – the team won the 2010 NCAA Indoor National Championship (the first in program history) back on March 14. Florida’s four individual event titles propelled them to the SEC Championship victory. Sophomore sprinter Jeff Demps captured the 100-meter dash, sophomore Gray Horn defended his 2009 SEC Championship in the decathalon, sophomore Christian Taylor took home the triple jump and the four-man team of Taylor, senior R.J. Anderson, senior Calvin Smith and freshman Tony McQuay won the 4×400-meter relay. Demps became the Gators’ first SEC Champion in the men’s 100-meter dash since 2000, while Taylor carried the same honor in men’s triple jump for the first time since 1976. Horn’s decathalon score of 7,652 was a career-high and second-best in school history. He is the ninth person in conference history to win the title back-to-back and first since 1974. 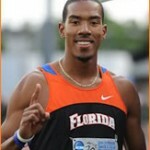 Horn is also the only Florida track & field athlete to win an SEC decathalon title. 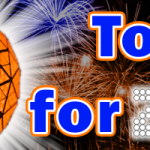 Florida’s No. 10 women’s team, which finished second in their respective event to the No. 2 LSU Tigers (which won their third SEC Championship in the last four years), posted a total team score of 107.5 points. Like the men, the women raked in the individual titles and captured five all-together. Senior distance runner Charlotte Browning defended her 2009 SEC Championship in the 1,500-meter run, senior Mariam Kevkhishvili won the shot put, senior Evelin Dekkers took home the javelin event and senior Shara Proctor was victorious in both the long jump and triple jump. Browning’s 1,500-meter run time of 4:13.96 was her career-best and the second-fastest time in school history. Even more impressive were the victories by Kevkhishvili in the shot put and Proctor in the triple jump – each woman won the SEC title for her third time in her respective event. The Gators will now close the season beginning May 27-29 with the NCAA East Preliminary Round, which can earn them a berth in the 2010 NCAA Outdoor Championships.